All three models in the 2014 SmartSurface Collection of innerspring mattresses under the Perfect Sleeper brand by Serta are named Highfield: Highfield Super Pillow Top, Highfield Firm, and Highfield Plush. The signature feature of these mattresses is the SmartSurface™ quilted cover with Cool Balance® fabric technology and Body Loft® anti-microbial quilting fiber. It also has FireBlocker Fiber (flame retardant) and Serta's PillowSoft™ Foam. Cool Balance Fabric Technology wicks heat and moisture away at the surface and balances temperature. Wicking moisture primarily serves to keep the sleeping surface dry, but secondarily it has a cooling effect from evaporation of the moisture. This is a theromostatic process, since a warmer atmosphere stimulates more perspiration, which means more evaporation for more cooling. Body Loft® is a quilting fiber with anti-microbial properties. Fiber padding combines support with cushioning for pressure relief. The inch of PillowSoft™ in the quilting is extra-soft foam, intended to enhance cushioning. Support for the Perfect Sleeper SmartSurface Collection, including the Highfield Super Pillow Top, is from Serta's 814-count Free Flex® Innerspring, an enhanced continuous coil configuration. The TrueSense® Design coils respond more individually than in the Continuous Support design used in the Essentials Collection. Added to this is Custom Support® which zones the coils with graded density for additional support under heavier portions of the body. The support system also adds Total Edge® Foam Encasement to the 6-gauge perimeter rods for more robust edge support. What distinguishes Highfield Super Pillow Top from the other two SmartSurface Collection models is the top upholstery (also called "comfort layers" of "padding"). The pillow top has 2¾" of Serta® Comfort XD™ Foam and an Innerpanel. Serta describes Comfort XD™ as "extra deep" and "soft yet supportive." The Innerpanel separates the pillow top from the rest of the mattress (defining the bottom of the pillow top). Judging by the thickness of the XD and the difference in height with the other models, the Innerpanel must be about ¼" thick. The next section down has two layers, Cool Twist™ Gel Memory Foam and the Serta® Insulator Pad. Cool Twist™ is memory foam infused with liquid gel, not gel beads as with most gel infusion. Serta does not describes its structure, but says it "is designed for significantly increased airflow." They credit the airflow with cooling, then cite "enhanced cushioning" (which may be the role of the gel) for pressure relief. The Serta Insulator Pad protects the foam from the springs and the springs from the foam. Without some kind of barrier, foam can intrude into the coils, which tears the foam and jams the springs. 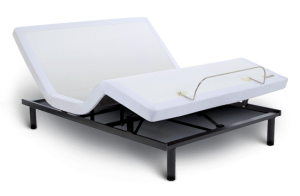 Serta recommends its Motion Perfect Essentials Adjustable Base made by Ergomotion as the foundation for the Highfield Super Pillow Top. 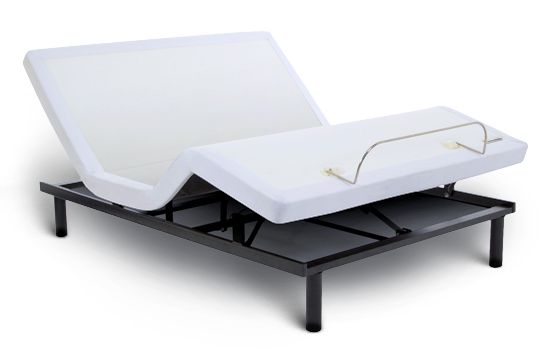 Besides this adjustable bed, the Highfield models are also compatible with Serta's StabL-Base, a specially designed platform with a double-beam for full support for the mattress with motion isolation to reduce partner disturbance. The Perfect Sleeper SmartSurface Highfield Super Pillow Top can be found at many retailers, in stores and online. Some of these retailers have alternate names for this model. SmartSurface mattresses are covered by Serta's 20-year limited manufacturers warranty.